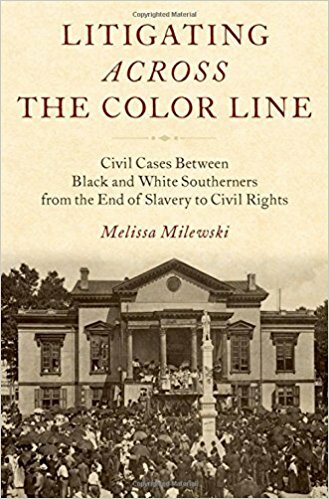 I’m back again today guest blogging about some of the research in my new book, Litigating Across the Color Line: Civil Cases Between Black and White Southerners from the End of Slavery to Civil Rights. 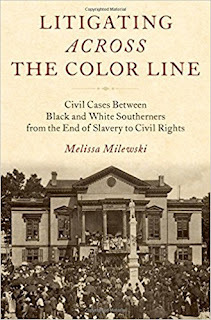 In my last blog post, I discussed how I found the almost one thousand civil cases between black and white southerners highlighted in my book. Today, I wanted to discuss why African Americans continued to be able to litigate -- and win -- these cases against whites in the Jim Crow South. It has generally been assumed that African Americans litigated few civil cases against white southerners in the post-Reconstruction South, and faced widespread inequality in the cases that they did pursue. However, the civil cases involving black southerners that historians and legal scholars have examined in the greatest depth often explicitly revolve around issues of race or racial justice and are the kinds of cases that black litigants found particularly difficult to litigate and often fared the worst in. In fact, I found that the vast majority of appellate civil cases that black southerners were able to litigate against whites between 1865 and 1950 took place over economic disputes that originated from their daily lives: cases over contracts, bequests, transactions, personal injury, and property. The outcome of most of their cases would usually have an immediate impact only on the families involved in the suit. Black litigants were also surprisingly successful in civil suits that reached southern state supreme courts. Of the 980 state supreme court cases I examined across eight states during this period, black litigants won 59% of their appellate suits against whites. So why were black southerners not only able to litigate these suits but often won them as well? 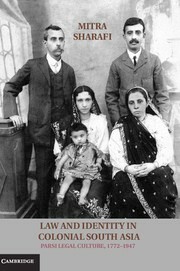 There were a number of factors, including the nature of the legal system itself. Undoubtedly, these appellate suits are also not completely representative of black litigants' lower-level suits -- although in these suits, African Americans had often won in trial courts as well. However, the fact that black southerners could litigate and win suits against whites at any level during the era of Jim Crow was also due in large part to the ways that white southerners and black litigants viewed these suits. In part because of the limited scope of most of these suits, they often seemed relatively unthreatening to white southerners. African American access to the courts also seemed much less dangerous than their access to the ballot box because most cases would be mediated by white judges and juries. White southerners argued that generally white judges and juries could be trusted to make the “right” decisions in black southerners’ cases. Moreover, at times, black southerners’ civil cases actually seemed to uphold white people’s rights. In cases claiming bequests left in a white man’s will, for instance, a decision for the black litigant upheld the white testator’s right to leave a bequest to whom he pleased. In other instances, whites viewed black litigants’ cases as upholding the system of white supremacy, even as they inconvenienced a few individual whites. In fraud cases in which African Americans emphasized their ignorance and lack of business understanding, black litigants’ testimony arguably strengthened white claims about black inequality. At the same time, the outcome of these suits could often have a life-changing effect on the families and finances of the black litigants involved. The results of African Americans’ litigation would determine whether they would have their own land under their feet, funds to replace missing wages when they were injured, or be paid for a year’s work. Other cases decided whether they would be able to inherit property that had been left them in a will or if they had a legitimate claim to ownership of a horse or mule. I argue that the very discrepancy between how white and black southerners viewed these suits played an important part in allowing them to continue. As a result of their view of these suits as relatively unthreatening – and sometimes even beneficial – to white supremacy, white southerners allowed African Americans to continue to access the civil courts even after black men were largely disfranchised throughout the South at the end of the 19th and beginning of the 20th centuries. 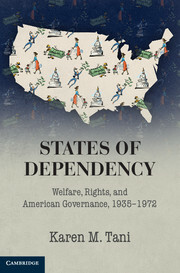 At the same time, because African Americans had important economic stakes in the outcomes of their suits, they often did everything they could to achieve a favorable decision. 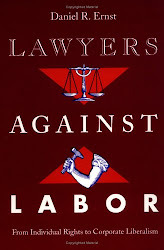 This included hiring white lawyers, emphasizing connections with prominent whites in their communities, shaping their testimony based on their understanding of the relevant law, and using their knowledge of white southern racial attitudes to present themselves in ways that would elicit favorable responses from largely white juries and judges. I’ll be back in a few days to discuss in greater detail the ways that a number of black litigants adeptly negotiated an often hostile legal system in which the actors making decisions often had very different interests than their own.